G8LED Grow Lights have gone through several iterations over 8 years to bring innovative indoor grow lighting technology in a highest yielding grow light system. Designed by Electrical Engineers who took their industry experience and applied it to the science of indoor growing, G8LEDs have a proven track record of exceptional performance. 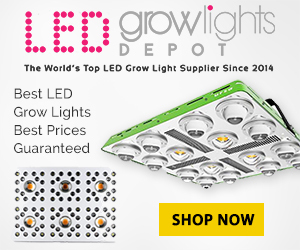 You can finally match the yields of high intensity discharge (HID) grow lights such as metal halide (MH) and high pressure sodium (HPS) bulbs with LED Grow Lights by using the G8LED Grow Light system. G8LED grow lights will give you healthier plant growth, the highest yields and higher quality harvests. G8LED Quality and Performance is unparalleled. They receive a large portion of our business from satisfied customers who want to continue upgrading their facilities. G8LED has won numerous awards, the latest being the “2016 Best LED Grow Light” by industry leading HIGH TIMES Magazine.